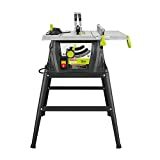 Table saws are great tools for people who are serious about home improvement or other similar projects. 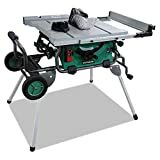 Whether you’re a builder, a repair worker, or just someone with a passion for fixing up houses—if you spend any amount of time fabricating cuts of wood or other materials, then chances are a table saw will be a great investment for you. 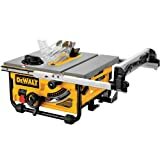 There are saws on the market to fit just about every budget and level of use, from the more casual weekend handyman or handywoman, to the professional builder. Here are some things to keep in mind if you’ve decided to invest in a table saw of your own. 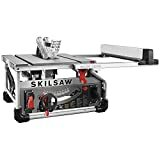 Tabletop: Tabletop saws are designed to be more lightweight than other models. This allows them to be installed on any sturdy table or work surface. Even though they might be lighter than other models, these saws can still get the job done. 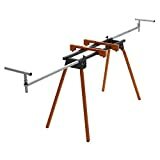 “Standing” saws: Standing saws come with their own legs or stands, so you don’t need to find a work surface to put them on. They might be slightly less portable than tabletop varieties, but they’re heavy duty and can handle most jobs. Wet: Wet saws are specially-designed for working with tiles. They introduce water to the saw blade to keep it cooled during sawing sessions. 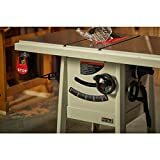 Accuracy: Aside from having a sharp blade—which just about all saws have, at least at first—accuracy is probably the most important feature of a table saw. Some reviewers report recognizing that their saws are inaccurate, but consistent, so they could at least correct for the problem while cutting. The best brands don’t force users to do that—they make clean, accurate cuts. 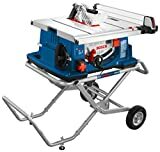 Blade durability: The reason people buy table saws is because they want to be able to get work done, so it stands to reason that they don’t want to spend a lot of time replacing worn out blades. The best saws come with blades that can handle just about any task—and do it many times—without their blades giving out. Adjustability: It is essential that users are able to adjust the saw to meet their cutting needs. It’s equally important that the saw stays adjusted. The best models can be adjusted easily and, once the parts are put in place, will stay where the user wants them for consistent cuts. 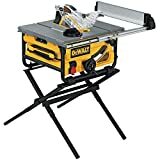 Safety features: Great saws come with great safety features that are easy to use and durable, so that there aren’t any unpleasant—and dangerous—surprises during work sessions. 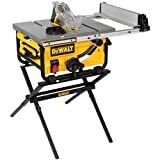 Size of the work surface: When looking for a saw, be sure to check out the specifications of models and pick a saw that’s big enough to handle the work you typically do. Adjustability: Once you’ve established that the saw is big enough to handle your work, you’ll want to make sure that you can make it small enough to take care of more precise jobs as well. Motor power: This is another important feature for any power tool. You’ll want to pick a model that comes with a motor that will be able to do the cutting you need it to do without getting overly strained or, worse, breaking down in the middle of a job. Attachments: Take a look at the attachments that come with different saws, and look for a model that has add-ons that match up with the kinds of work you typically do. Bosch: Bosch is a German power tools manufacturer. Founded in 1886, the company has been producing power tools since its founding, and today is one of the most well-known and highly-respected producers in the world, with products for both professionals and home hobbyists. 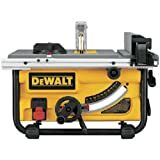 Dewalt: Dewalt is an American company that is known for its high-quality power tools. Founded in 1924, the company is the manufacturer of choice for many professional builders and repair workers. Hitachi: Hitachi is one of the most diversified manufacturing corporations in the world. Founded in Japan in 1910, the company makes products for virtually every sector. Its tools division makes power tools that can meet just about every need for both professionals and amateurs. Skil: Skil is an American tools manufacturer. Founded in 1924, the company has been producing power saws since its inception—in fact, a power saw was its first consumer product. Rockwell: Rockwell is an American power tool manufacturer. Founded in 2005, the company partnered with the Chinese company Positec to produce a wide range of power tools and accessories.